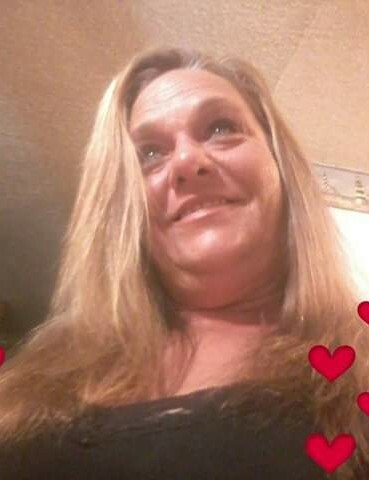 Obituary for Shannon Rachelle (Britt) Anum | Myers Funeral Home, Inc.
Shannon Rachelle (Britt) Anum, 46, of Pinellas Park, Florida, passed away Sunday, November 4, 2018 at St. Petersburg General Hospital in St. Petersburg, Florida. Shannon was born May 30, 1972 in Boise, Idaho, a daughter of Kenneth Earl and Vicki Sue (Baur) Britt. She had lived in Pinellas Park, Florida for the last 12 years. Shannon had lived a very difficult life and endured a lot of hardships, but despite it all continued to persevere and have a zest for life. She had a wonderful personality and was a magnet to all she met. If you crossed paths with her, you knew you had a friend for life. Shannon would give the last dollar in her pocket to you if she knew you needed it. She loved crocheting and being around children. Shannon loved her family dearly and really enjoyed spending time with her friends. Shannon is survived by her daughter, Victoria Danielle Nichole James, of Columbia; mother, Vicki Sue Britt, of Columbia; father, Kenneth Earl Britt and wife, Jean, of Crestwood, Kentucky; sister and brother-in-law, Trisha Suzanne and Neil Sqrow, of Mansfield, Texas; brother and sister-in-law, Zachary Earl and Megan Britt, of Las Vegas, Nevada; uncles and aunts, Kent and Toni Baur, of Danville, California and Ann and Bob Scarlet, of Montgomery City; nieces and nephews, Eliana Anastasia Sqrow, Abraham Emmanuel Sqrow and Isabel Grace Sqrow, of Mansfield, Texas; in addition to countless friends. She was preceded in death by her grandparents, Henry “H.C.” and Charlene Baur and Marion and LeNell Britt; uncle, Carl Baur and aunt, Jackie Toebben. Funeral services were at 2:00 p.m., Saturday, November 10, 2018 at the Myers Funeral Home in Wellsville. Rev. Dawn Gerard officiated. Visitation was held from 1:00 p.m. until the time of service, Saturday, at the funeral home. Burial was in the Wellsville Cemetery. Serving as pallbearers were Kent Baur, Ken Britt, Zach Britt, Danny Houf, Neil Sqrow and Rick Stroup. Memorial contributions were suggested to her daughter, Victoria James c/o Myers Funeral Home, 203 East Bates Street, Wellsville, MO 63384.